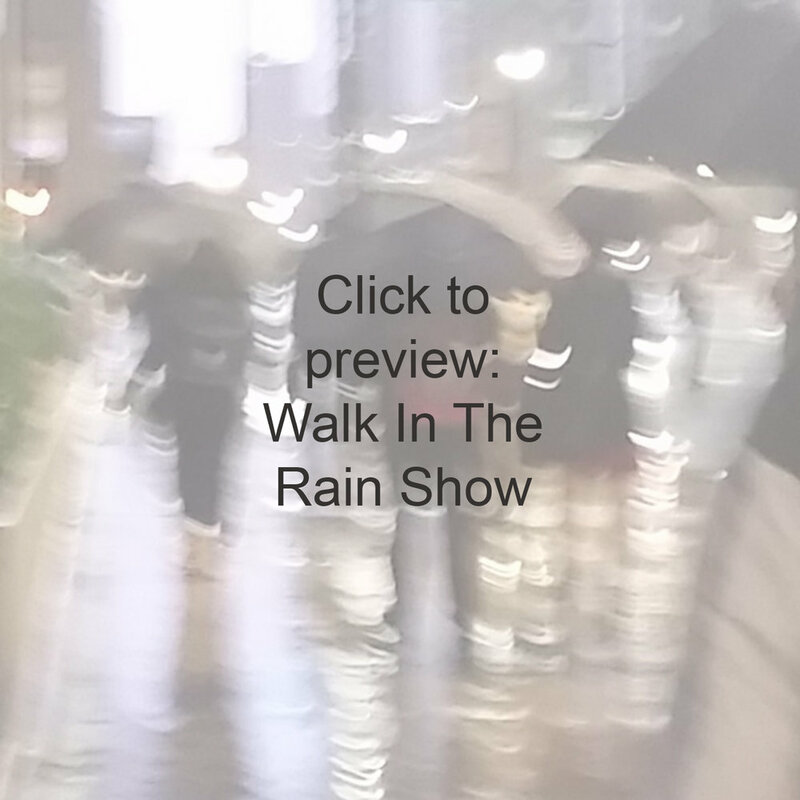 The show 'Walk In The Rain' is a larger collection that is available to present as a solo exhibition. Only a portion of the show is available here as a preview. After a solo exhibition has been presented - the entire show will be released. This image is part of the preview. The rain softens the city and quiets the experience. The urban orchestra of vehicles, people and the bustling din is muted under a blanket of drips and drops of the pattering rain. The diffused glow of car and street lights illuminate the walk in a vague and noncommittal way. The people and their stories become translated to impressionistic experiences passing quietly along. In these moments, people find themselves lost in thought, transformed and momentarily discovering their own story, their own path.